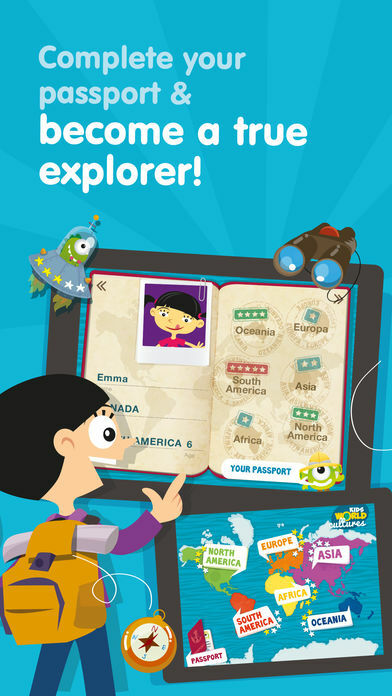 Kids World Culture app provides opportunities for kids to describe their culture, but also have the opportunity to explore others to learn about the world beyond. Teaching your kids about world cultures helps them appreciate the differences in people and their traditions.Kids World Cultures is an important app for children and families to explore in order to learn and understand the diverse world we live in today. It is also beneficial in order to build cultural competency and build better rapport with children and families of different cultural backgrounds! Download the Kids World Cultures app for your IOS device and discover fun facts, epic histories, rare foods, and incredible animals from all over the world. Kids World Cultures actually features 6 apps in 1. 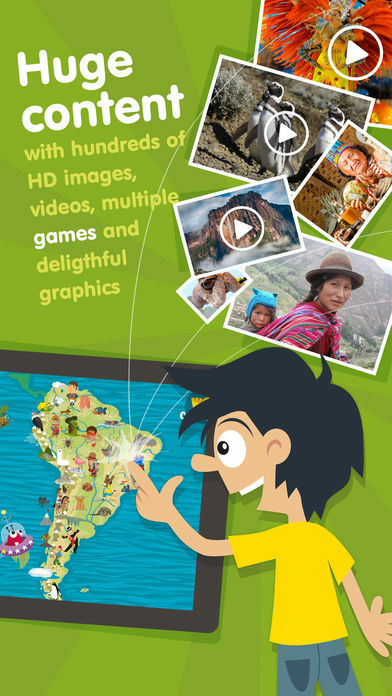 It contains loads of exciting HD images, videos, and games that keep your children entertained for hours while teaching them about cultures from around the globe. 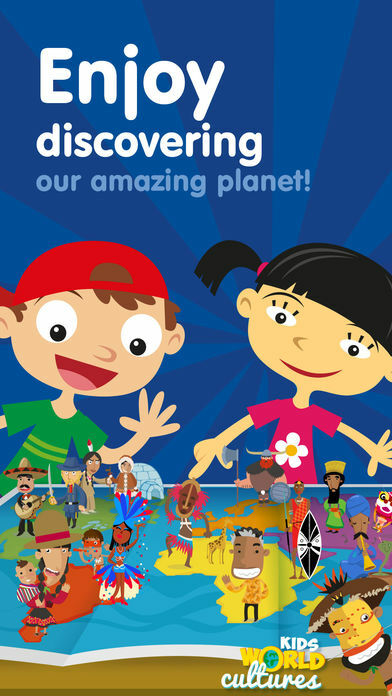 Kids World Cultures sends children off on amazing adventures to learn about people and places all over the planet. It helps them see how people do things in different parts of the world, and what their lives are like in terms of housing, dress, education, entertainment, and more. Kids World Cultures fosters an appreciation for the differences of people around the world. It also brings kids together as they learn that, sometimes, other cultures are similar to our own in many ways. What’s in Kids World Cultures? Kids World Cultures contains hundreds of interesting pictures, dozens of videos, and tons of games that teach kids how other people on the planet live. Kids learn what entertains, sustains, and challenges people all over our planet Earth. Additionally, kids enjoy hours of fun learning about the world around them when playing Kids World Cultures games and activities. They can research places they want to go, as well as those they have already been, just for fun! 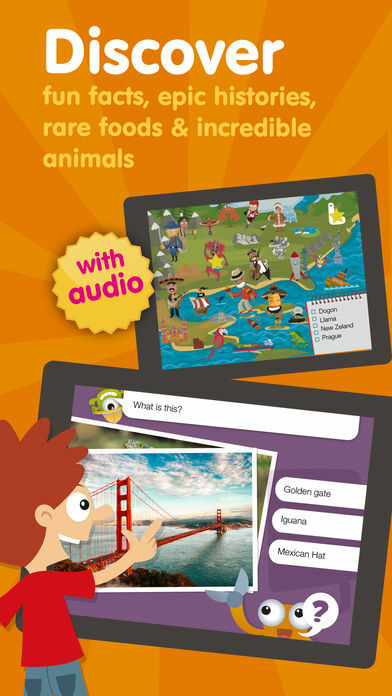 And, they can use the Kids World Cultures app for help with school projects and assignments. • Games, activities, and videos to learn about cultures, music, geography, animals, dress, and more! Family Fun, School Research, Road Trips, and More! Kids World Cultures is a great app to have with you on road trips, as it helps kids to see and understand where they’re traveling along with the people who live in different places. It’s a fun educational tool that can be used to pass the time in the car as well as on an airplane, bus, or train trip. Kids love enjoying virtual trips around the world with Kids World Cultures while they’re at home. And, they enjoy taking the Kids World Cultures app with them on real-life adventures. 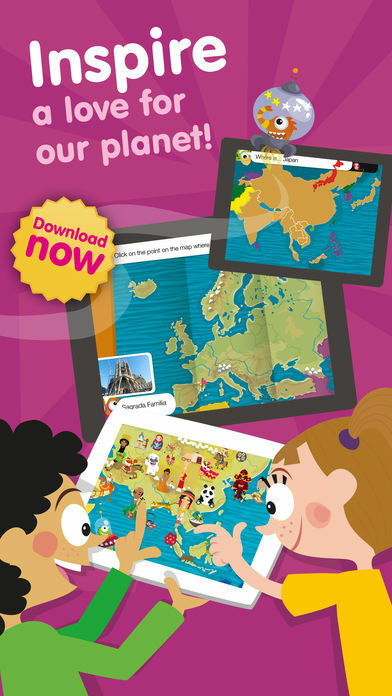 With the Kids World Cultures app, children play games and engage in activities that let them discover the exciting cultures of the world no matter where they are.